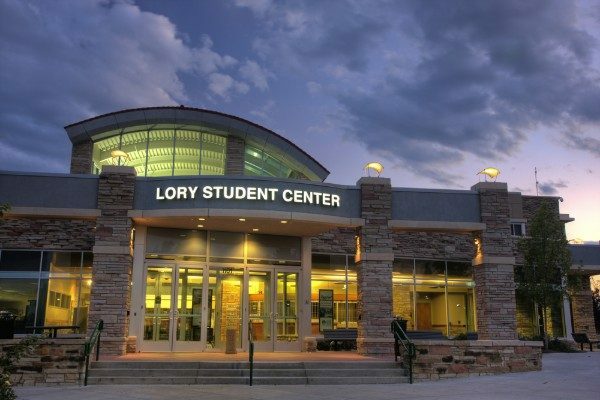 Many of the newspapers were reportedly taken from CSU’s popular Lory Student Center. On Tuesday, Colorado State University’s student newspaper, The Rocky Mountain Collegian, reported “multiple eyewitnesses” saw members of a campaign team for student government presidential candidate Ben Amundson and his running mate Alexandra Farias removing and destroying copies of the paper early that morning. The cover story of Tuesday’s edition alleged the candidates had misreported their campaign finances. Candidates vying for the president and vice president of ASCSU said they saw members of the Amundson-Farias campaign team take copies of Tuesday’s edition of The Collegian, rip them up and throw them in recycling bins in and around the LSC. The university, which is located about an hour north of Denver in Fort Collins, confirmed to FIRE late yesterday that CSU Police were investigating the incident, but could not provide additional updates. Spokesperson Dell Rae Ciaravola said that if students were involved in the alleged theft, they could also face disciplinary action from CSU. “In situations such as this, if a student is found to be responsible, the case would be reviewed by our Student Resolution Center and the student or students could face university disciplinary action,” Ciaravola said. Regardless of the identity of the apparent thieves, the allegations, if true, would make a strong case for Colorado’s journalist-friendly newspaper theft law, which makes it a crime to steal free newspapers. There’s only one problem: Colorado quietly repealed that law in 2013. From 2004 until it was repealed in 2013, Colorado’s newspaper theft law made it a misdemeanor to take more than five copies of a free publication with the intent to keep others from reading it. It also created escalating financial penalties for thieves, depending on the number of papers stolen. But in 2012, a Colorado commission recommended the state legislature repeal the law, claiming that the law was under-utilized and unnecessarily gummed up the criminal code. Basically, the commission argued it was an extraneous law no one used or needed. But that’s not true. FIRE was among the advocacy groups, including the Student Press Law Center and the Colorado Press Association, that explained just how useful and necessary the law was back in 2012. Former SPLC director Frank LoMonte said at the time that newspaper theft remained a substantial threat to the student press specifically. “It’s well documented that groups on campus will use theft as a tactic of censorship,” he said. And SPLC statistics support that claim. In the 10-year period between Colorado’s enactment of its newspaper theft law in 2004 and its repeal in 2013, the SPLC tallied more than 150 newspaper-theft incidents nationwide, or an average of more than 15 incidents annually. There was also a spike in the number of nationwide thefts in 2012, the year Colorado recommended the repeal. Colorado’s then-public defender Doug Wilson, a member of the commission that recommended the repeal, justified the move in an interview with the SPLC, saying that the law had “only” been used five times in Colorado. Usefulness aside, Wilson suggested the commission placed some blame on student journalists themselves for providing free papers on campus. “When charging and prosecuting criminals for theft, [Colorado’s] primary concern is what the value attached to the stolen item was,” Wilson said, discussing the repeal in 2012. After Tuesday’s incident at CSU, The Collegian initially reported that the state’s newspaper theft law may have still been in place. Collegian Editor-in-Chief Haley Candelario tells FIRE the paper was disappointed to learn yesterday it had been repealed. She also responded to the reasons behind the repeal. After Tuesday’s theft, Candelario says she and Collegian staff met to discuss how to make sure students had the information they needed on Wednesday, which was the last day of campaigning for student government positions. They decided to re-run Tuesday’s cover story on Wednesday, “with the article about the stolen newspapers right next to it,” Candelario said. They also focused distribution near the campus areas where the campaigns were tabling. As for making sure the papers actually got to the students who needed it, The Collegian’s editorial staff decided to — quite literally — take matters into their own hands.